This 100% watertight soother steriliser is simple and quick to use. 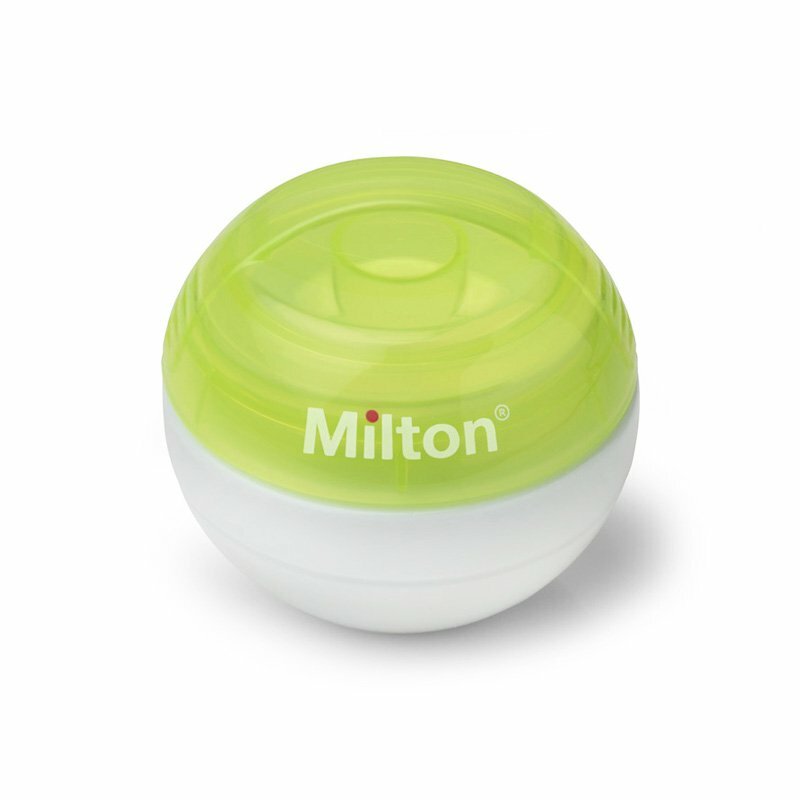 Before leaving home, simply fill the Milton Mini with cold water and add one Milton Mini Sterilising Tablet. 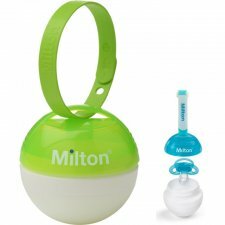 The unique sponges inside the Mini portable steriliser absorb the solution to avoid spills as well as helping remove dirt from the teat. Add the soother, replace the watertight lid and after only 15 minutes the soother is sterilised and ready to use straight away with no need to rinse.